As of January 1, 2016, Switzerland is handing over the names of everyone who has anything stored in its Swiss freeport customs warehouses. For decades, people have stored precious metals and art in Swiss custom ports — tax-free — as long as they did not take it into Switzerland. Now any hope on trusting Switzerland is totally gone. That’s right — the Swiss handed over everyone with accounts in its banks. Now, they must report the name, address, and item descriptions of anyone storing art in its tax-free custom ports. This also applies to gold, silver, and other precious metals along with anything else of value. Back in 1986, the FBI walked into my office to question me about where Ferdinand Marcos (1917–1989) stored the gold he allegedly stole from the Philippines. 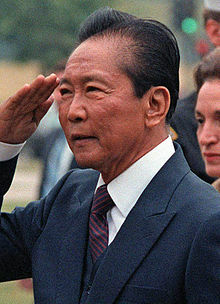 Marcos had been the President of the Philippines from 1965 to 1986 and had actually ruled under martial law from 1972 until 1981. I told them that I had no idea. They never believed me, as always, and pointed out that Ferdinand Marcos was a gold trader before he became president and he made his money as a trader. They told me he was a client and that I had been on the VIP list for the grand opening of Herald Square in NYC, which he funded through a Geneva family. I explained that I never met him, and if he were a client, he must have used a different name. 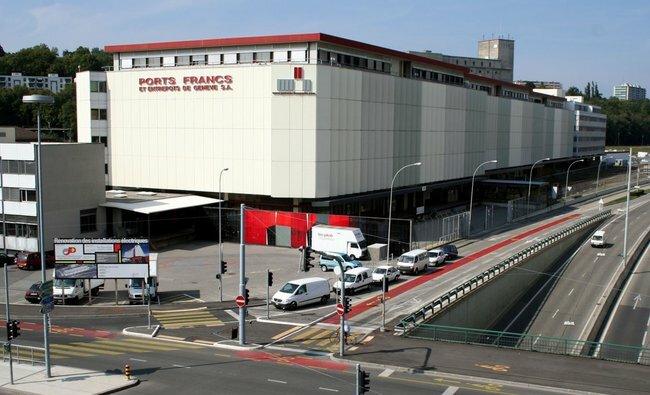 But the rumor was that the gold was stored in the Zurich freeport customs warehouse. His wife, Imelda, was famous for her extravagant displays of wealth that included prime New York City real estate, world-renowned art, outlandish jewelry, and more than a thousand pairs of shoes. Reportedly, there is a diamond tiara containing a giant 150-carat ruby that is locked up in a vault at the Swiss central bank. Some have valued it at more than US$8 million. The missing gold that people have spent 30 years searching for will surface if there are mandatory reports on whatever is hidden in the dark corners of these warehouses. This action to expose whatever whomever has everywhere in Switzerland may cause many to just sell since they will be taxed by their governments for daring to have private assets. They will not be able to get it out once it sees the light of day for every government is watching. The Swiss should have joined the Euro. What is the point of remaining separate when you surrender all your integrity and sovereignty anyway? This is what bureaucrats are for. They act on their own circumventing the people. Welcome to the New Age of hunting for loose change. Your sofa and car glove box are next. Oh yeah — what about gold or silver fillings in your mouth? Time to see the dentist?